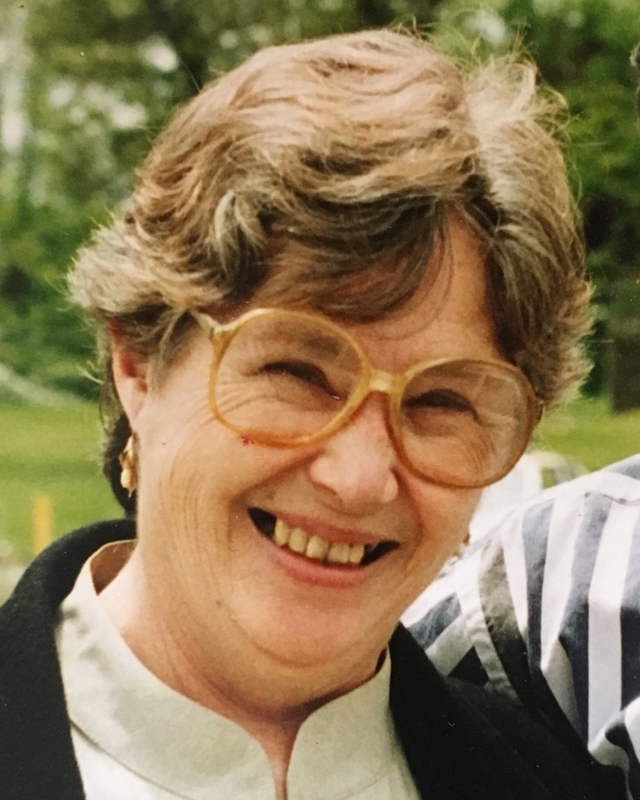 Mrs. Janet (McCoomb) Nappi, age 78 of Center Street, Bristol, died peacefully, Sunday, March 17, 2019 at the Philip Hulitar Hospice Center, Providence, surrounded by her loving family. She was the wife of the late Nicholas W. Nappi, Jr., her husband of 32 years, who preceded her in death in October of 1990. Born in Fall River, MA and raised in Swansea, MA, she was a daughter of the late Leo and Irene (Mobouck) McCoomb. Janet was a graduate of Case High School, Swansea, MA, Class of 1957. A Homemaker, Janet was a communicant of Our Lady of Mount Carmel Church, Bristol and an accomplished artist, she enjoyed painting in both oil and watercolors and doing charcoal drawings and sketches. She is survived by her five children, Nicholas W. Nappi, III of Bristol, Irene E. McAdams of Riverside, Christopher L. Nappi and his wife Susana of Tiverton, Michael J. Nappi and David R. Nappi and his former wife Diane, both of Bristol, nine grandchildren, Mikayla, Mitchell, Colton and Julia McAdams, Blake, Jacob, Ethan, Samantha and Cam Nappi, five siblings, Edward McCoomb (Lori) of Springfield, MA, Irene Spomer of Fall River, MA, Kathleen Alty (Kenneth) of Sandwich, MA, John McCoomb of Swansea, MA and David McCoomb (Maryann) of Warren. In addition to her husband and parents, she was preceded in death by siblings, Leo E. McCoomb and Carol Nunes.